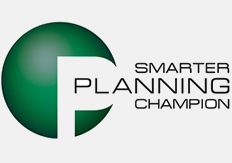 Drawing And Planning have been designated as a ‘Smarter Planning Champion’ by the Planning Portal. This confirms that, as a practice, we meet the Government requirements in following best practice for submitting planning applications via the government’s Planning Portal. Reducing CO² throughout the process. ‘Smarter Planning’ is a partnership between planning agents, Local Planning Authorities and the Planning Portal. It is a recognition that the industry needs to work together to streamline and improve the planning process. As a Smarter Planning Champion, Architecture & design services are proud to be part of this process streamlining the submission of planning applications.